Ferns are one of the oldest and most diverse plant species, dating back more than 300 million years. Although they can be found growing naturally in areas ranging from dense, damp jungles to rocky caves, several varieties of ferns are now beloved indoor plants. Whether you're an amateur plant caretaker or a horticultural enthusiast, caring for a fern can be easy and enjoyable. There are over 10,000 different types of ferns recorded, with an estimated 5,000 more that just have yet to be discovered. The most popular fern to keep in or around the home is the Boston fern, which is probably what most people imagine when they think of this type of plant. Boston ferns have thick, wide fronds that can get very bushy and outstretched in the right conditions, and sprout leaves ranging in colors from gold to green. Maidenhair ferns are also common for their vibrant green leaves that darken slightly over time, and resemble Boston ferns but have delicate, thinner stems. Staghorn ferns are exceptional for their ability to grow out of the soil, and can easily be kept mounted on a wall for a major style statement in any brightly lit room. In the wild, most ferns like living in shady, damp spaces. To keep an ideal atmosphere for your fern, try keeping it in a room where water usually runs, like the bathroom or kitchen. 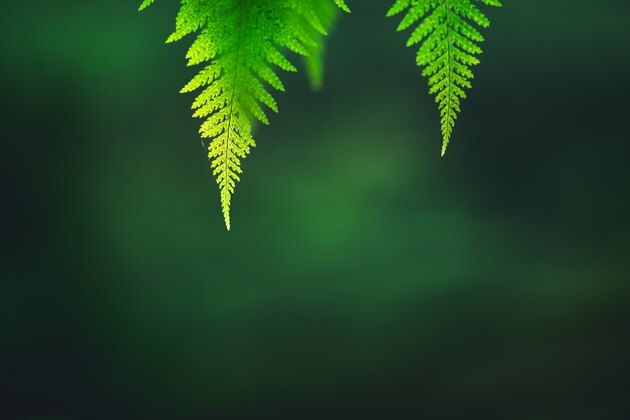 Like any plant, however, ferns do need to see sky and sunlight to grow, so only keep them in these spaces if they can get their light needs met. You can still keep your fern hydrated with regular waterings as needed, and add additional moisture and humidity by misting the leaves with a spray bottle full of water every few days or so. To make sure your fern is getting the right amount of water, water it when the soil feels dry, but don't let it sit in water collected in the pan. You can also water your plant from below by filling a tray with a little water and enough rocks to stick out, and set the fern on top of the rocks. To make sure your fern doesn't dry out or burn, keep it in a spot where the leaves won't be touched by too much direct sunlight. Naturally, ferns prefer the shady canopy of a forest or jungle floor, so do your best to mimic these conditions by placing it in a room that gets at least two hours of indirect light a day. 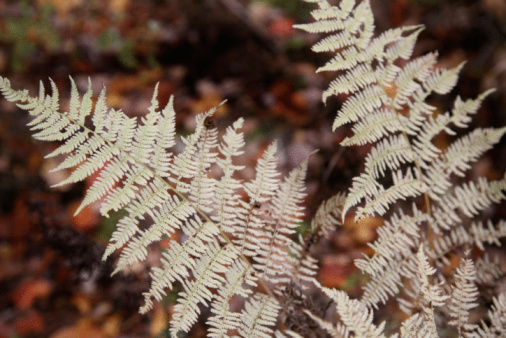 Because ferns require specific care, health issues are not uncommon. They are usually easy to treat, as long as you know how to spot symptoms. If your fern has brown tips or an overall grayish color on its leaves, it likely means that it's dehydrated. Touch the soil to see if this is the case and water it evenly with a watering can that will reach in between the fronds. If the fern is watered and still looking sad, it could be root rot. In this case, the roots will look brown and stunted. If you see this remove the fern from the pot and clear as much of the soil as you can from the roots. Clip the rotted roots away and re-pot it in a container with good drainage for the best chance of seeing it recover. For black leaves or spots on the fronds, cut away the dead growth, and if you can, add nutrient-rich compost to the soil in case nematodes are the cause of the discoloration.